Shamli : Congress President Rahul Gandhi and it’s UP (Eastern) state general secretary Priyanka Gandhi's all rallies in the Uttar Pradesh have been cancelled for Monday. 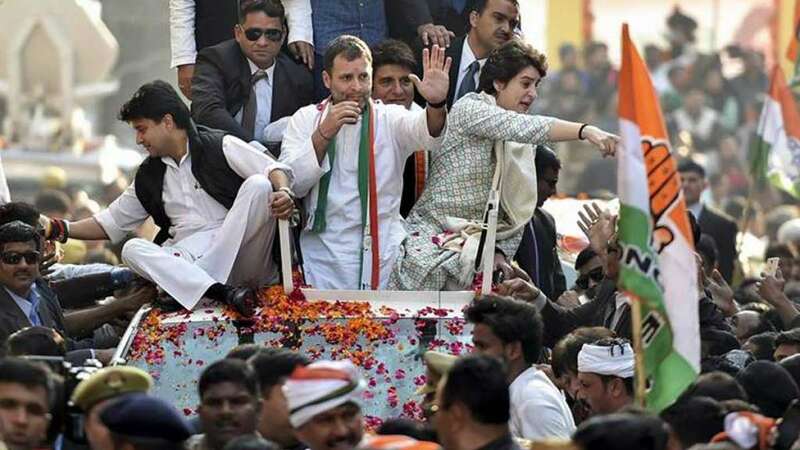 "For now the Rahul Gandhi-Priyanka Gandhi Vadra’s rallies has been cancelled at all three places (Shamli, Bijnor, Saharanpur), due to bad weather. We are planning Priyanka ji’s road show tomorrow," news agency ANI quoted Imran Masood, Congress’ candidate from Saharanpur. Meanwhile, Congress slammed Bharatiya Janata Party's poll manifesto, saying that "You can’t mislead everyone, all the time." Earlier today, BJP released its manifesto claiming to fulfil 75 promises by the time India celebrates its 75th Independence Day.